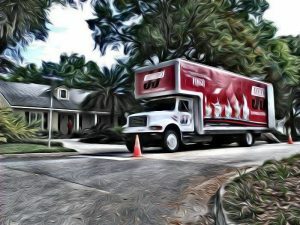 According to the United States Census Bureau, 48.4% of all moves take place between June and September, with some moves starting as early as May. This means that roughly 65% of all household moves take place in this five month period. It goes without saying: That’s a lot of moves. As such, planning is essential when making a summer move. The following are some helpful tips to assist you in making your summer move a success. Since most people work a Monday through Friday business schedule, without a doubt weekends are the busiest times to move. So is the end of the month, since that is when most rental agreements are up. 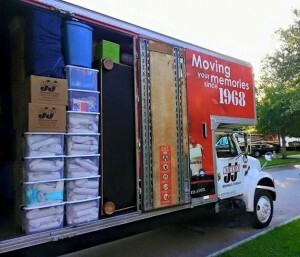 Therefore, if you have flexibility in your moving plans, try to move on a weekday or during the middle of the month. If at all possible, avoid Memorial Day weekend and the last weekend in July, as these are the busiest moving weekends of the year. 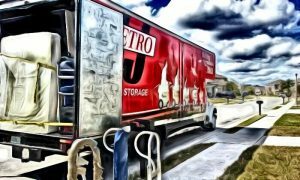 It’s common sense that like everything else, the price of hiring a mover, renting a truck or obtaining portable storage or freight services goes up according to the rules of supply and demand. With that being said, since demand is higher in the summer, prices will be higher then as well. However, you can still get a discount if you book moving and storage services in advance. As most moving companies do not require a deposit to reserve their services in advance, this can only work to your advantage. Furthermore, be sure to look for moving discounts or coupons on moving services online. How early is early? The answer is the earlier the better. The average person makes a moving reservation eight days in advance. With that in mind, you should consider making your reservation much earlier, especially if moving on the last weekend of the month or on a holiday weekend. Start your research early and book six weeks ahead of time if you can. This is especially true for customers moving on the last weekend of the month or on a holiday weekend. Even if you’re relocating within the same city, allow yourself extra time in case of delays, and plan to take an extra day off from work. As far as children and pets go, don’t forget to make a plan for them too. Your children will need a safe, cool and comfortable place to sleep and play, and to stay out of the moving crew’s way. With that in mind, its best practice to find a babysitter for them at both ends of the move. If you can, find someone to watch your pets as well, as they will need to be kept away from the movers too. While moving in the summer can be a hassle due to the large demand, with a little foresight and advance planning you can still save money on your summer move and ensure that is goes smoothly.